While it’s not a gay blog, National Geographic is running a fantastic series about the earth’s projected population of 7 Billion in 2011. Short of zombies taking over like in The Walking Dead or World War III, the 7 billion benchmark will happen very soon. The Nat Geo subpage is filled with all sorts of interesting quips that will make you appear well informed and therefor sexier at dinner parties and cocktail galas. For instance, did you know that all 7 billion people could stand shoulder to shoulder for a group photo in an area only 500 square miles large? That’s practically the size of Los Angeles. Check out the gorgeous photos and read up on this global milestone. 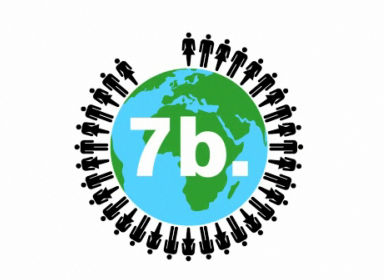 7 Billion People? That means there are upwards of 500 million homos out there in the world! So quit your whining about never being able to find anyone.